The Managed Print Solutions team at EMS have worked with the Education sector for many years. 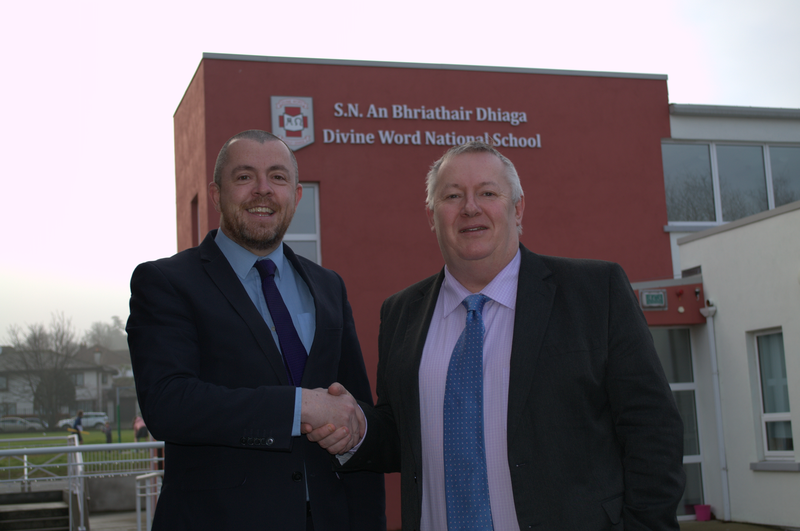 This Case Study explains how our experienced Managed Print team worked with The Divine Word National School to implement a cost effective, secure and efficient system. The Divine Word National School serves the parish of Marley Grange, Dublin and its surrounding areas. It is a mainstream, co-educational school catering for pupils aged 4-12. The school had a mix of several different types of equipment on site. Managing the toners, consumables and servicing for aging equipment had become time consuming. Divine Word National School required a tailored solution that would cover new low cost equipment for the school. They wanted to be able to manage the cost in a clear accountable monthly cost, to cover all toner requirements, all consumables required, plus onsite service and maintenance for any mechanical issues that could arise. In addition they wanted to be able to give each teacher an individual log in for printing and copying to help manage costs even further. EMS Managed Print Services team implemented a solution for the school that included 4 Multi functional colour machines and 1 high volume mono Multi functional machine. Each piece of equipment had the potential to copy, print, scan and fax. EMS also supplied the school with Aqrate software system, which allowed teachers to draw down their prints from any machines anywhere within the building, with their own unique code. In addition the software moved any potentially sensitive information away from the physical machine to the secured on-site server. The school now has the most up to date equipment spread across its site. The solution provided one fixed quarterly cost to cover the hardware and a standard click for colour and mono prints that covered all toner usage, consumables and an on-site service contract to cover any other eventualities.